As much as I love the idea of checking out souped up cars and watching them race at breakneck speeds, the thought of driving out to Bowanville and spending the day with the family at Canadian Tire Motorsport Park rarely crossed my mind. 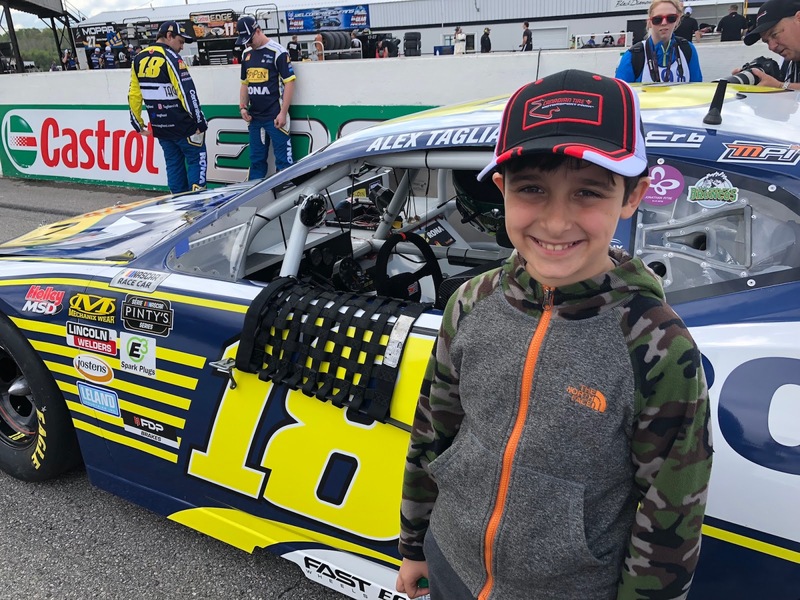 I honestly never thought of the place as a family destination because, in my mind, it was a place for car racing fans who actually followed the sport. Ka-chow! Was I ever wrong. 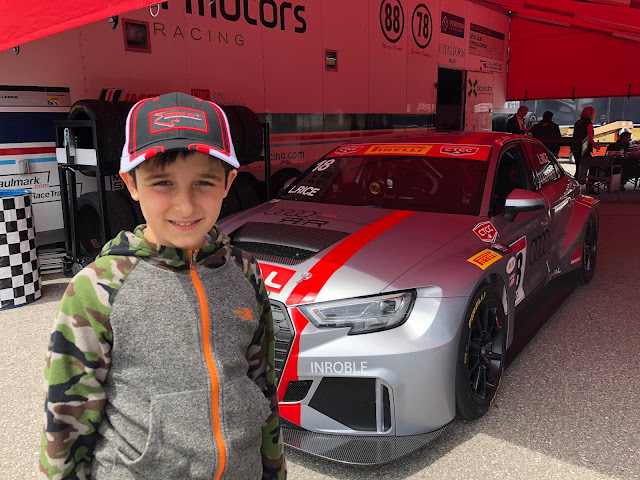 As special guests of CTMP, the kids and I took a trip just east of Toronto to experience Castrol Presents Victoria Day Speedfest and the many family friendly activities available on site. And, from the moment we pulled up to the entrance, I knew we were in for a real treat! 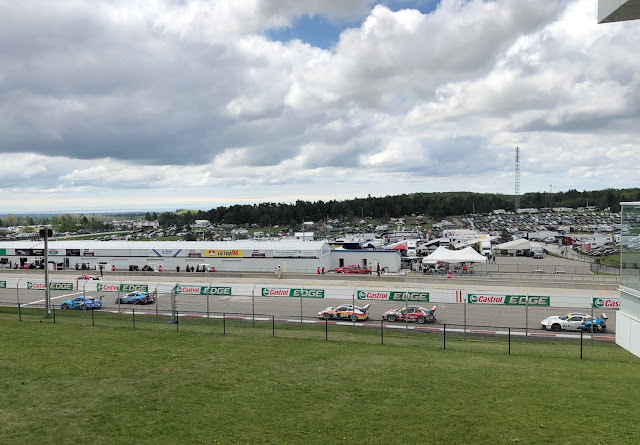 First of all, I was stunned by the sheer size of the Canadian Tire Motorsport Park grounds. The place looked so much bigger than what I had envisioned after looking it up on Google Maps. 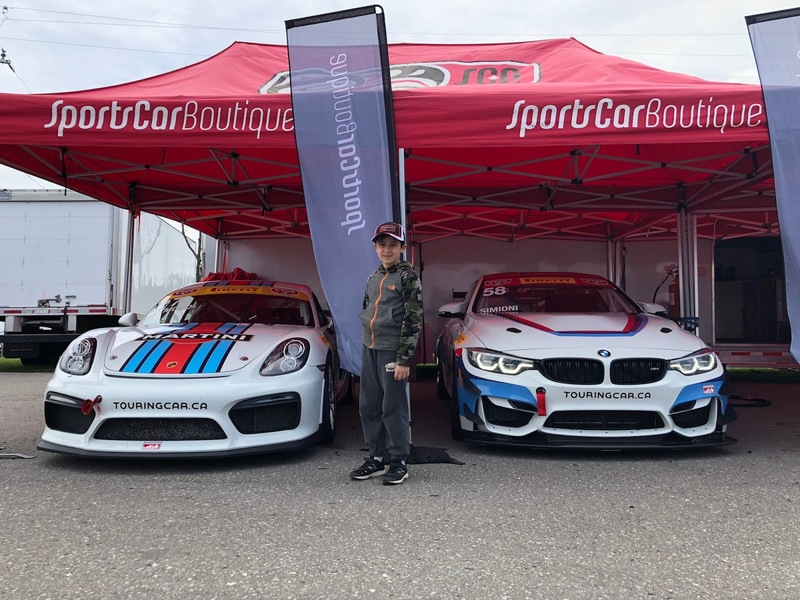 The place encompasses over 900 acres and offers a mix of beautiful parkland, open fields, and great vantage points around the 3.957 km road course. This is something to keep in mind since you will easily be clocking your way towards you daily step goals in no time. Comfortable walking shoes are a definite must. And earplugs, too! Be sure to pick up a copy of the Guest Guide so you have easy access to the schedule of events. 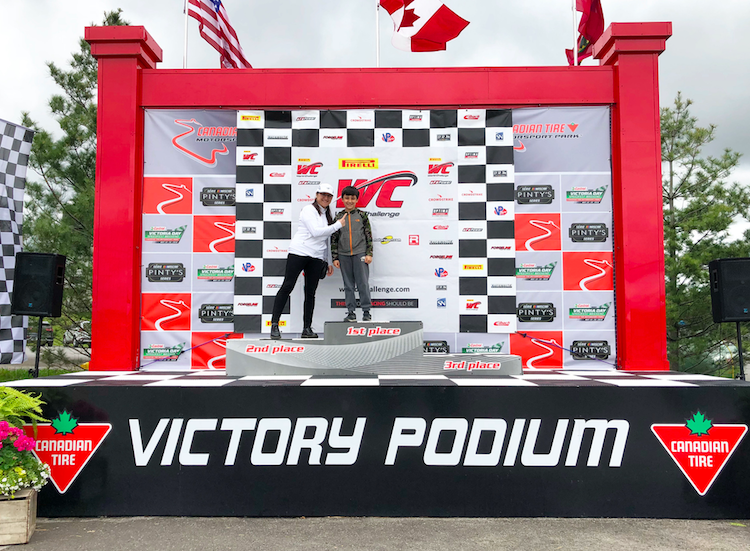 If you time it just right, you can hang out at the victory podium and maybe even meet some of the race car drivers at the Winner's Circle. This is located near the fuel pumps and is indicated on the map by the double checkered flag on the map, also included in the Guest Guide. We got there just in time to meet and great the winners of Pirelli World Challenge Series and watch as they sprayed each other with champagne. We even met Lawson Aschenbach, from Palm Beach Gardens, Florida, who came in first place. My son couldn't stop grinning! We kept heading down the hill and found the CTMP Marketplace, where you can purchase some merch such as souvenirs, t-shirts and baseball caps. 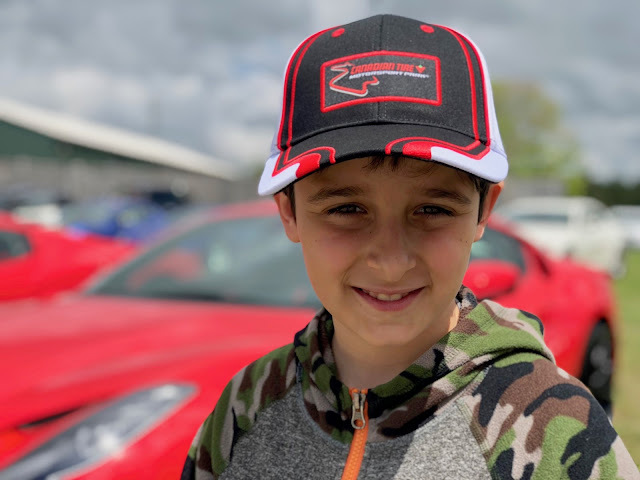 My son picked out this sporty cap, which for some reason reminds me of the Cars movie. 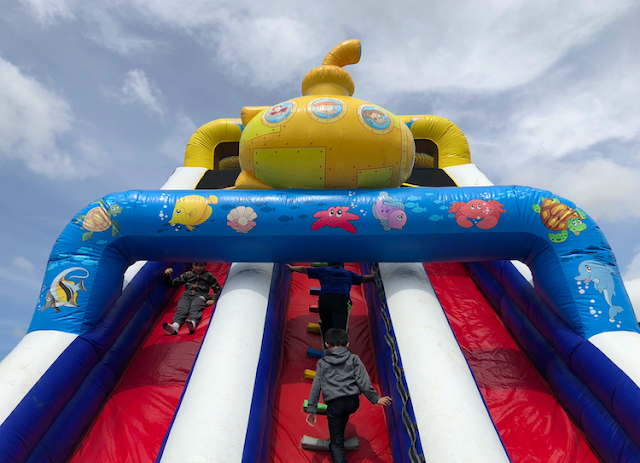 A bit further down, we came across the Canadian Tire action zone with activities like face painting, bouncy castles, high-tech simulators and some virtual reality fun. There was even a Hot Wheels booth where kids could design their own car and grab a free Hot Wheels sample. The action zone is also where you will find live bands and fireworks at dusk. This will be a highlight yet again at the Chevrolet Silverado 250 Series in August. 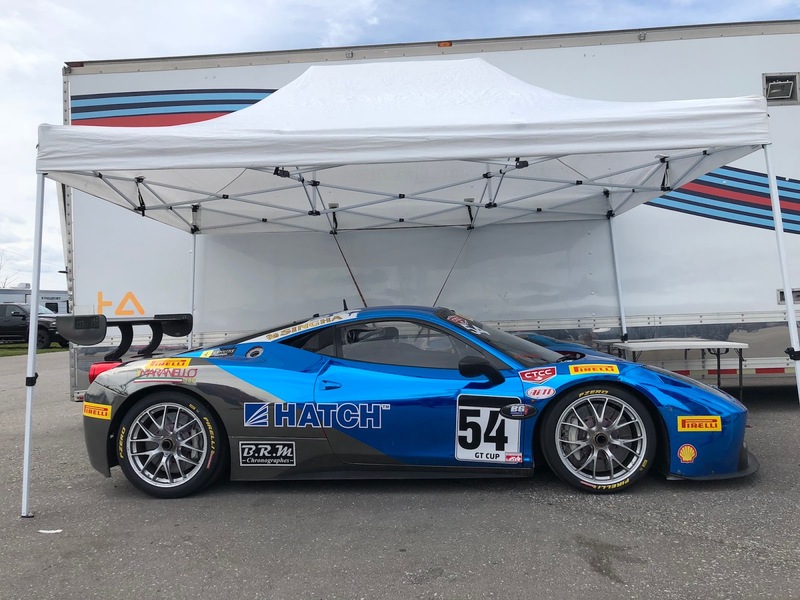 Of course, we had to visit the various team paddock areas, located on the circuit infield at the north end near the start/finish straight. All the team transporters, cars, crews and drivers are based there, and access to the paddock is included with your event ticket purchase. Bring a marker, autograph book, and camera to take advantage of the many opportunities to meet and speak with the drivers. Personally, I felt like I was in the movie Cars, surrounded by so many race cars, transporters and spare wheels. It was truly a sight to behold. Plus, the crews were incredibly friendly and you could even ask to sit inside an actual race car. I think the one above would suit me quite well, wouldn't you say? The highlight of our visit took place just prior to the NASCAR Pinty's Series. We were granted a unique insider's vantage point from on the pit lane and watched as the race car drivers were introduced and headed into their cars to begin the race. 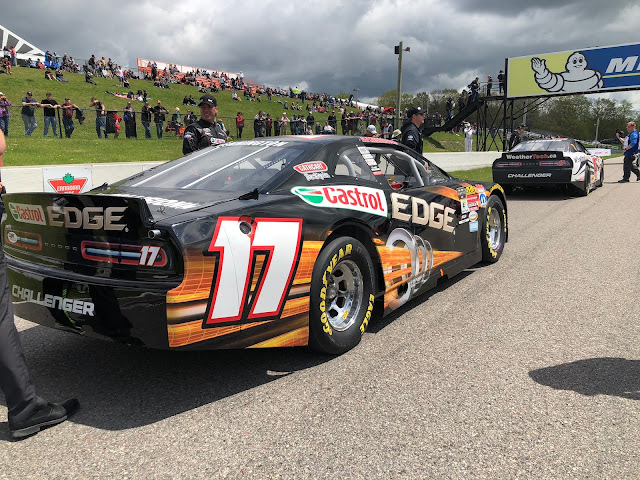 It was truly awesome to be right there, on the track, next to so much talent and some pretty cool rides. While this was a special blogger perk, I am happy to share that attendees can enjoy a similar experience during the Mobil 1 Sportscar Grand Prix taking place from July 5-8, 2018. For the Open Grid Walk on Sunday morning, spectators are allowed to gather in pit lane, along with all the cars, drivers and crews! And is if this family friendly experience couldn't get any better, children 16 and under are free with paid adult admission! 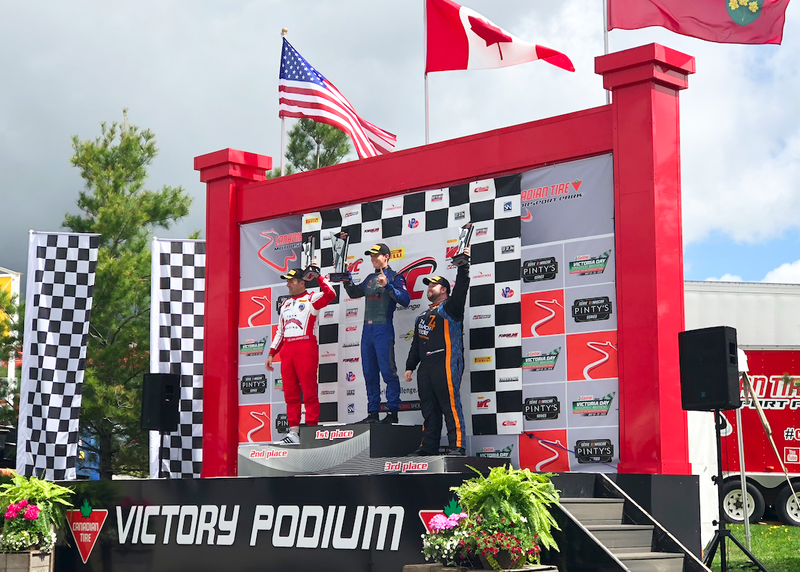 For more information on Canadian Tire Motorsport Park and any of the major events hosted here, visit canadiantiremotorsportpark.comhttps://canadiantiremotorsportpark.com. Disclosure: Our family enjoyed a special VIP experience courtesy of CMTP to help facilitate this review. Any opinions expressed in this post are my own. Looks like a great place for a family day full of fun! my family would have loved to go there as we love car racing and drag racing. Sounds like a whole lot of fun; thanks for sharing. This would be such fun for children. They would love all the excitement. Sure sounds like a nice spot to spend a day ! My grandkids would love a day there! Looks like so much fun! This sounds like it was a fun event! This looked like great family fun! Next year this is on my list of places check out with the kids!